Whether you've been a chronic credit card spender or you've just gathered a collection of credit cards over the years, having lots of plastic can make you consider canceling some of the cards to simplify your finances. But, before you make the call to cancel a card, think twice about whether it could ding your credit score. If your credit card charges you fees, canceling it means that you won’t have to pay them anymore. For example, many cards charge you an annual fee just for having the card. If you’re not using it, or at least not using it enough to justify the fee, canceling the card will save you those costs each year. Worse, some credit card companies charge you an inactivity fee, which means you’re paying the credit card for not using it -- talk about a waste of money. Depending on your spending habits, having an extra credit card with an available balance could be a big temptation every time you go shopping. When you’re paying with plastic, your wallet doesn’t get any lighter after you swipe, so it could be weeks before you get your statement and realize the charges you’ve run up. 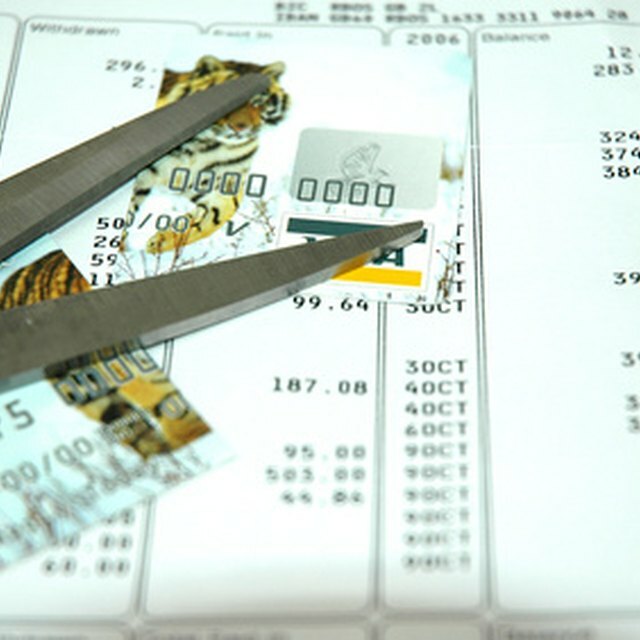 By closing credit card accounts you don’t need, you reduce the amount of damage you can do to your bank account. Closing a credit card can harm your credit utilization ratio, which measures the percentage of your available credit that you’re using. If you close an unused card, you’re reducing your available credit without decreasing your credit usage. For example, say you have three cards. The first two have $1,500 balances and $3,000 credit limits while the last card has a $4,000 limit, but no balance. Right now, you’re using 30 percent of your available credit -- $3,000 in balances out of $10,000 in available credit. But, if you close the $4,000 credit limit card that you don’t use, your credit utilization jumps to 50 percent, which dings your credit score. If I Paid Off a Credit Card & Canceled It, Can I Reopen That Account? You might think that closing an account means the entire thing disappears from your credit report, but that’s not the case. Instead, the negative information still remains on your credit report for at least seven years from the date it occurred, just like it would if you didn’t close the account. Your positive information, however, can fall off sooner than that if the card stops reporting it. If you keep the card open, that positive information -- which helps your payment history and your length of credit -- stays on your credit report and helps your credit score indefinitely.